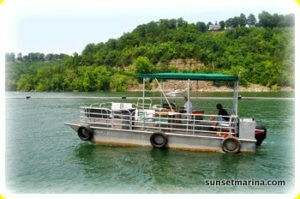 Clean Maria certification awarded to Sunset Marina and Resort by U.S. Army Corps of Engineers for efforts to keep its facilities and Dale Hollow Lake clean. 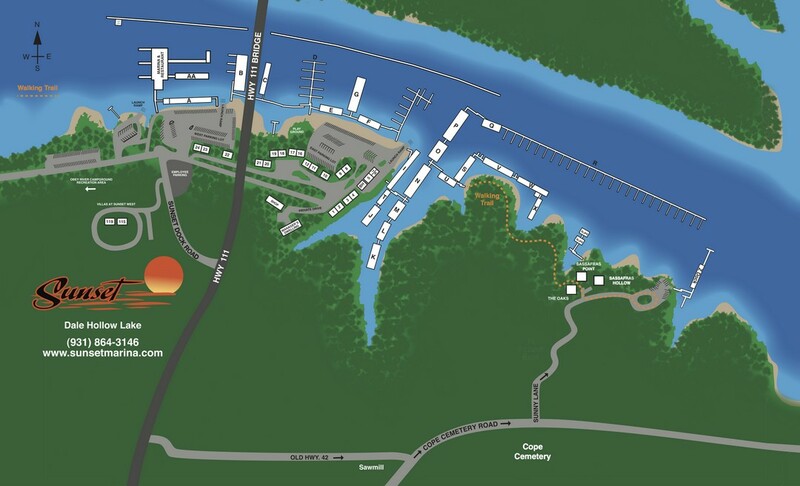 The Cumberland River Basin Clean Marina Partnership is a voluntary program implemented by the Nashville District and its watershed partners to promote environmentally responsible marina and boating practices. This program, established in support of the National Clean Boating Campaign, helps marina operators protect the very resource that provides them with their livelihood – clean water. The effort encourages boater education, coordination among state agencies and better communication of existing laws, and offers incentives for creative and proactive marina operators. 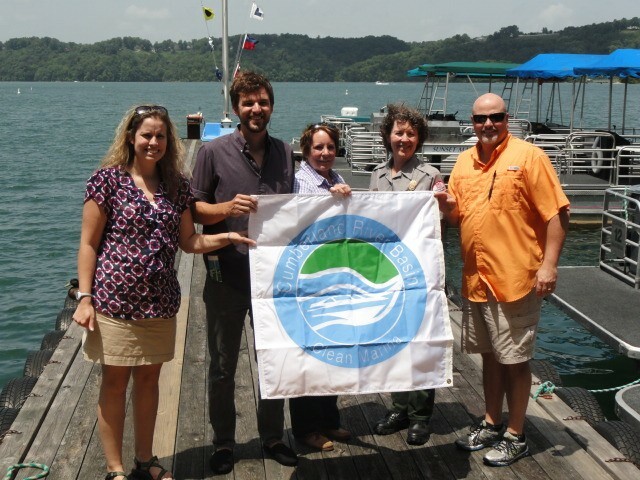 Park Ranger Sondra Carmen, environmental compliance coordinator at Dale Hollow Lake, said Clean Marinas are environmentally conscious in their business decisions because they want to make a difference. The program has established a list of seven management measures that are identified as priorities in order for the marina to fly the flag of a “Clean Marina.” These criteria include sewage management; fuel control; solid waste, petroleum recycling and disposal; vessel operation, maintenance, and repair; marina siting, design, and maintenance; storm water management and erosion control; and public education. The steps to becoming a designated Clean Marina are straightforward, beginning with a pledge, which is a commitment to controlling pollution and erosion at the facility and promoting water-protective behavior with the boating public. By participating, marinas demonstrate a commitment to addressing water quality issues.